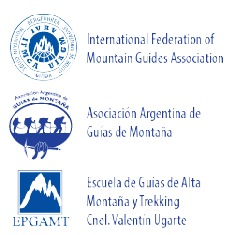 This is the international expedition tours, open for everyone who wishes to challenge to the summit of Mt.Aconcagua. Our climbing plan is slower than other group tours for better acclimatization - it's the key of the success on Aconcagua climbing. 18 departures scheduled throughout the climbing season, from November to February. Our 20 days program starts/ends at Mendoza town, Argentina. Book now, pay on confirmation of your reservation. Route: Normal Route (NW face). Tour style: Fixed date expedition, International groups. Season: Late November to February. Tour dates: Regular departures. 18 groups scheduled. Private group on request (minimum 3 climbers). Route - You may need to know before coming. The summit of the Mt.Aconcagua is the highest point of the South America. To reach the summit, we follow the normal route, approaching from the south-west. For climbing, the normal route is the most popular route on this mountain. This route is technically easy, but be aware that "easy route" doesn't mean "easy mountain". The hard part is the altitude, many climbers have failed their challenge by the altitude sickness. Therefore, this our expedition is carefully designed on the acclimatization - takes more days than other commercial expeditions. Day 01 · Mendoza IN – Altitude: 760 mts. Day 20 · Mendoza hotel check out. We have medical kits at base camps that include all regular medicines and oximeters, oxygen tubes and hyperbaric chambers exclusively for our clients in ready to solve all kinds of problems. The guides also carry a medical kit for high camps. We have access to rangers, rescue teams, police, professionals medicine doctors and medical institutes specializing in mountain accidents, who are immediately put on alert and get ready whenever they are required by our staffs. Please send us the following data to start your booking process. We require pre-payment or credit card details in order to guarantee your reservation. When you forward your booking form to us, we understood that you acknowledge and agree to all the terms and conditions set out in the GENERAL OPERATION CONDITIONS. 1-A) KNOWLEDGE OF CONDITIONS SET FORTH: when the passenger (as well as any person who has a reservation under the passenger’s name) sends the reservation form and it is accepted by us, it is understood that the passenger acknowledges and agrees to all the conditions herein and certifies that the information submitted in the reservation form is complete and true. The Company, on accepting the reservation, covenants and agrees to full fill its obligations as herein provided. - Sends the reservation form dully filled in. - Each person participating in the trip shall fill in a form and provide as much information as possible. - The Company must be immediately informed of any changes in the information the passenger has furnished. - The passenger may send the reservation form by e-mail or through the Company´s website. 2-B) BOOKING CONFIRMATION: Once points a) and b) hereinbefore are fulfilled, the Company shall forward confirmation and balance of the reservation. Two weeks prior to the trip, the Company shall send a HANDBOOK with information about the hotel, contact telephone numbers, list of participants and related data by e-mail. 2-D) CANCELATION OF THE BOOKING: cancellations shall be made in writing, without exception, and the price of the trip will be refunded to the passenger after deducting cancellation charges. The cancellation date shall be the date the Company is dully served by the passenger. - If the cancellation notice is received 30 days prior to departure, the prepayment made for the reservation shall be deducted to cover administrative expenses. - If notice is received after the 30 days previous expedition departure date, the Company shall retain the 50% of total amount of the expedition. - If notice is received 72 hours previous expedition departure the Company shall retain the 100% of the expedition and no refund will apply. 3-A) PRICES: all prices advertised in the Company’s publications are expressed in United States dollars and are subject to changes without prior notice. The passenger shall pay the ruling price at the moment the reservation is accepted. Prices shall not be subject to changes provided that the trip is paid cash and in full once the reservation is made. Otherwise, the company retains the right to change the final price of the program without prior notice. Said changes may derive from market fluctuations affecting the cost structure. Any price increase shall be paid prior to the departure date of the trip without exception. 3-B) WAYS OF PAYMENTS: The ways of payment are: cash, bank transfer and credit card through PayPal. These ways of payment, and fees or applicable taxes, may change at any time without prior notice.In the case of credit card and bank transfer, the company is not liable responsible for modifications made by intermediary banks. Any variation or other fees or taxes will be looked after the client according to the selected way of payment. The passenger can change the method of payment if he thinks it is convenient, for it must be informed up to 60 days before the start of the expedition. 3-C) PAYMENT OF THE BALANCE: the balance due must be paid prior to the beginning of the trip. If the balance is not fully paid the company can cancel all bookings and there’ll be no services confirmed. The balance can be paid by the following options. - Cash: Until the first day of the expedition in our offices. All these ways of payments may change without prior notice. 4-A) SPECIAL PROMOTIONS TERMS AND CONDITIONS: These special prices are not accumulative and to apply for it the booking must be done on the established period. 4-B) PROMOTIONS FOR GROUPS: In order to apply for this kind of promotions group of passengers must book the services at the same time. If there are cancellations in the group, the company can cancel the promotion and offer other options according to the expenses due to the changes of the booking. 4-C) DISCOUNT FOR OUR CLIENTS: If during an ascent the guide considers that certain conditions (bad weather, bad road conditions or impaired personal skills) make it unsafe to continue the journey and decides to cancel it, the passenger shall be entitled to receive a non-transferable voucher with a 15% discount on the cost of another ascent attempt. This discount voucher shall be valid for two successive summer seasons after the current season. In the event the passenger decides not to continue for any reason and at any point of the journey, said passenger shall not be entitled to receive a discount voucher. 4-D) BAD WEATHER INSURANCE: we work hard so that our clients have the greatest chance of success in the Aconcagua. 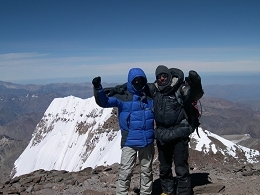 However, if due to bad weather conditions in the mountain and no one of the expedition cannot reach the Summit of the Aconcagua during the normal days of the program; you will have the unique opportunity of joining one of our groups of schedule expedition within the next year by only 50% of the value of the program. Anyways as we have many expedition dates in Mt. Aconcagua and all are guaranteed. You will have the advantage of joining another expedition group which is about to climb from the base camp, making use of this insurance. To access this option you must have paid the chosen program to its public list price, without any discount or promotion and no one of the expedition couldn’t reach the summit. 5-C) UNUSED SERVICES: the price of the program is quoted as a package. Therefore, no refund or compensation shall be given for non-use of certain services such as hotel stays, transportation, permits or any other service that is included in the trip and has not been used by the passenger. 5-F) GUIDES: RIGHTS AND OBLIGATIONS. Given the nature of the service hired by the passenger, both the objectives of the program and the decisions taken by the guide as program leader are final. If the guide considers that the passenger’s behavior, physical condition or any other reason emanating from said passenger may be dangerous to the safety, health or well-being of said passenger or of the whole group, the passenger will be asked to abandon the journey and shall not be entitled to any refund whatsoever. In the event it is necessary, the company is entitled to resort to law enforcement personnel. The passenger acknowledges the guide’s authority concerning decisions that encompass changes in the programs or expeditions. 6-A) DOCUMENTATION: it is the passenger’s responsibility to obtain the necessary visa to enter the country of destination. The company shall not to be held responsible if the authorities refuse to give an entry visa to the passenger due to reasons inherent to said passenger, or if admittance to a given country is refused due to the passenger’s failure to comply with the necessary requirements or due to defects on his/her passport. Any expense deriving therefore, or from any similar circumstance, shall be fully borne by the passenger. The conditions herein for voluntary cancellation of the service shall apply. 6-B) LUGGAGE: the luggage and personal effects shall be, at all times, the passenger’s responsibility. In the event of accident, loss or damage during the transfer of luggage in Company’s vehicles, carriers or mules, the Company shall be liable to pay up to a maximum of U$S 100. The passenger must agree the packaging and transport rules made by mules and porters. This rules asked detailed on the vouchers. When completing the reservation form , it must be filled in character AFFIDAVIT, note that any omission – intentionally or accidentally from a previous medical condition that somehow hinder their participation in the expedition, leave canceled their right for any complaint or request for economic return and / or compensation in the event that any competent authority ( medical / rangers / guides in charge of the expedition may decide not to proceed with the issue and be forced to abandon it) on the occasion of inaccuracy of the content found or distortion of reality . 6-D) EQUIPMENT AND CLOTHING: it is the passenger’s responsibility to bring and wear adequate equipment and clothing. Said items are detailed in the information of the journey and will be checked by the Company’s guides on the first day of the trip. The staff of the Company is fully capable to advise the passenger on the necessary equipment. The Company, its guides, coordinators and any other party working for the Company shall not be held responsible for any accident or inconvenience associated to the equipment or clothing. 6-E) INSURANCE: travel insurance is not included in the price of the program. The Company, strongly recommends passengers to take out a travel insurance policy. 6-F) EXPENSES DERIVING FROM ABANDONMENT OF JOURNEY: the itinerary price is quoted on the basis of group services so as to provide more and better services at a low cost. Whenever the passenger abandons the group for any reason (personal reasons, sickness, among others), the services hired by the passenger thereafter are on a private basis. However, the passenger will be allowed to use hotel stays even outside the dates scheduled for the whole group. Some services will have an additional cost that shall to be borne by the passenger because they are not included in the price. In the event extra stays are needed, the Company recommends settling them at its offices. 6-G) COMPLAINTS: Neither the Company, nor service providers shall deem a complaint as formal unless said complaint is submitted in writing within 15 days after the end of the journey. 6-H) IMAGES OR PUBLICITY: during our expeditions some pictures and videos are taken or made. When the passenger books our services is accepting that our staff may take pictures or film throught the trip. These images by be used for publicity. 7-A) LIMITATION OF THE COMPANY´S OBLIGATIONS: the Company’s liabilities and obligations in connection with any event or failure shall be limited to and shall not exceed the price of the trip.